It’s been a while since I’ve planned to write an award post. I was tagged several times by different bloggers, but I never found time to do it. I am so honoured and I want to thank and give a huge hug to all these incredible bloggers ! I was tagged by different bloggers : the wonderful Carla Sue who’s the author of one of my favorite baking blog. Then, Le Journal de Tarielle, the amazing Sweety from Sweetness & More. I do remember that my lovely Suzanne from A Pug In The Kitchen did it too. Generally, blogging awards imply answering several questions about you. Well, because I’m mixing different kind of blogging awards, I’ll just nominate eleven of my favourite bloggers ! ♔ Suzanne, from a Pug In The Kitchen, who was one of the first follower of my blog. Thank you so much, for every little thing. 25 commentaires pour And the nominees are…. 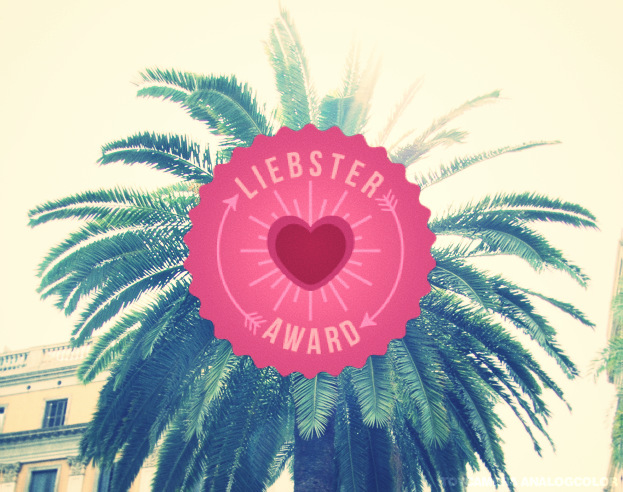 Thank you so much for the liebster award!! You know I love your blog so much, you are supremely talented and I look forward to every post. You rock! Ohhh Suzanne you’re always so sweet with me I can’t hope for more ! My god! Thank you so much Mrs DeYarmond! I am so honored about this, honestly, thank you so much! You desevered it Ada 🙂 Really ! Oh, Sarah. You are the sweetie here! You are so full of amazing talent. Your photos are stunning. Your recipes are amazing. Your English is humbling (as my French in non-existent). I am honored by your nomination and even more honored by your blogging friendship. 🙂 Thank you! Ohhh thank you so much that’s so sweet of you ! Merci d’avoir pensé à moi, c’est très gentil! On m’a souvent tagué mais tout comme toi, je n’ai pas trouvé le temps pour jouer le jeu et maintenant je ne me souviens plus de tous les noms 😦 . Ton blog est super 😉 .